MPI Tools' 18 inch Locking Generator Cord Adapter is a combination of excellent power transfer (125/250v) and durable craftsmanship. 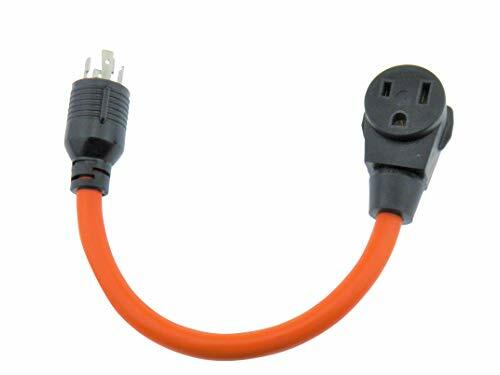 The 10 gauge wire is sure to hold steady power for whatever you need it for. It doesn't matter if you need power in the construction yard, or your back yard, MPI Tools' Hard Service Rated tools will get the job done. ★THE BETTER BUY -MPI Tool's durable and reliable 10 gauge 3 wire Nema L14-30P (plug) to 6-50R (Receptacle) Generator Power Cord is the premium choice in price and quality. Offering 125/250 volts, we've made sure to bring you a versatile tool that will last!